“It’s such an honour to be the captain of a club with so much history and tradition and such a great culture”. Having played 15 years of football with Fitzroy – juniors and seniors – the classy Julian Turner has been named Senior Men’s Captain for Season 2018. Julian was named as captain of a strong leadership group at Fitzroy’s season launch. Tom Biscaro and Tom Cheshire will be the vice captains and last year’s best and fairest, Max Ellis, has been elevated to the leadership group, along with Nathan Ligris joining Max Davies. Coach Luke Mahoney said there were several stand out things about Julian which helped elevate him into the role. “From the time I walked in, Jules has set a high standard on the training track. He has a strong commitment and sets an example to the group about how to go about things. “Jules is very passionate about the club and success. He’s a student of the game and has been very keen to understand what we’ve been trying to do in terms of the game plan. It really helps me to know that I’ve got someone on the ground who knows the plan as well as I do. “And he also just sets an example on field by how courageous he is,” Luke said. Paying respect to his predecessor, Rory Angiolella, Julian said “one of the good things for me in following in Rory’s footsteps, is that Luke has made it clear he doesn’t want me to be Rory, I should just take on the role as me and be myself. “I’m probably not quite the motivator or as vocal as Rory but I like to keep the team united and I’m level headed and calm. I think I’m good at understanding others’ perspectives. The newly appointed Fitzroy-ACU Reserves captain, Rachael Telfer, says after just one season at Fitzroy she just can’t get enough of the club. 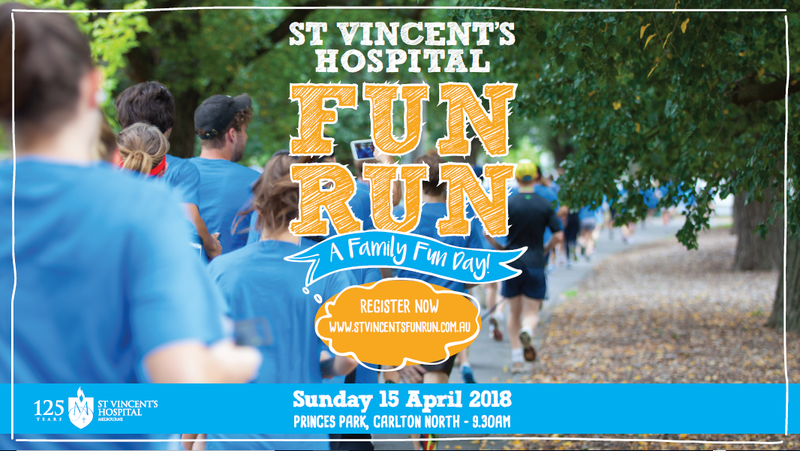 The ACU-trained exercise physiologist, who works in the Physio department at the Epworth Hospital, says she was encouraged to come down to check out the action by uni mates and has never looked back. “There is such a lovely community feeling and everyone is so encouraging and supportive. “I’m pretty surprised to be captain in just my second year of football, but I’m honoured and excited and really proud to be the captain of the twos. Rachael is quick to praise the other leaders around her and says the leadership of former captain Mish Booth and Frankie Freeman (the Reserves’ vice-captains this year) alongside new coach Simon Jackson, will give her plenty of support. Rachael says her new coach has created a great atmosphere of encouragement where people are not afraid to have a go or worried about failure. “That is a really good message for all the new girls and we do have a lot of new players this year. The best thing is that even though he has a lot of experience he doesn’t care if we make mistakes, he just wants us to have a go and then try harder. But most of all, don’t be scared,” Rachael said. 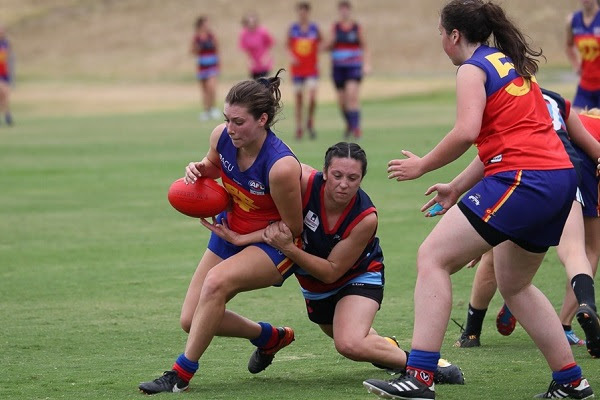 Rachael said she’s looking forward to playing more games like their pre-season hit out against the Brunswick Renegades on Saturday, which Fitzroy-ACU won. “We only won one game last year, so I’m looking forward to building on the weekend’s form together because we played so well. The announcement of the senior men’s captain may have headlined the season launch last Saturday night at the Fitzroy Victoria Bowling and Sports Club, but there was an outstanding group of leaders named across all teams (with the Thirds announcement coming soon). Gemma Minuz will again lead the Fitzroy-ACU Women’s Senior side, supported by a leadership team of Jess Hayes (Vice-captain), Luci Murphy and Erin Gogerly. Jack Atkinson has also been returned as captain of the Men’s Reserves side and will have three vice captains in support; Luke Edwards, James Howes and Ben Witkowski. For the Under 19s, last year’s best and fairest winner, Oscar Sutcliffe, has stepped up and the vice captains are Finn Doherty and Riley Harry-Blackwell. Senior men – Julian Turner (captain), Tom Biscaro and Tom Cheshire (vice captains), Max Ellis, Max Davies, Nathan Ligris. Fitzroy-ACU Women’s reserves – Rachael Telfer (captain), Mish Booth and Frankie Freeman (vice captains). Congratulations all and good luck for season 2018. If you are interested in sponsoring a player for 2018, please contact Vice President Michael Smale or submit a player sponsorship query on the membership page of the website and the club will make contact. 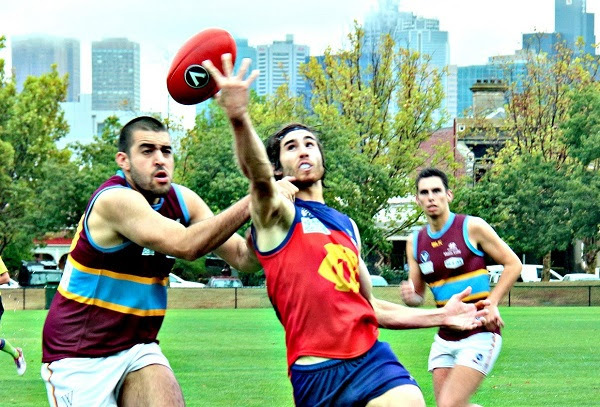 The VAFA has released more details of the draws this week and the Fitzroy Under 19s will head up a huge triple header at Brunswick Street Oval for Round 1 next week. The on-field action will be complemented by the first pre-game lunch of the season – see the details below – and of course Kerry’s BBQ is back. Don’t miss out. 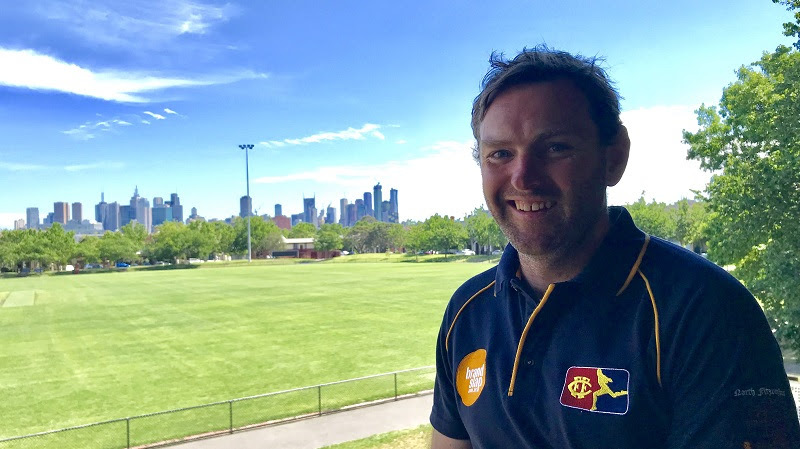 One of the secret weapons Luke Mahoney brought to Fitzroy when he came was the club’s new Development Coach, Sam Bishop, who is really excited about the opportunity to work with Fitzroy’s talented youngsters as well as the defensive line. As the saying goes, when you want something done you ask a busy person, and Sam certainly fits the bill. He’s a physical education teacher at Kew East Primary School, Division Sport Coordinator for the Boroondara Division of School Sport Victoria and he and his wife, Ange, recently welcomed baby Elias, who is now just seven months old. The partnership between Sam and Mahns goes back to St Kevin’s Old Boys where they met when Sam came to play, aged just 21. The two coached together last year at Brunswick (North Old Boys/St Patrick). We asked Sam a few questions about his introduction to Fitzroy and what he could tell us about our new senior coach. What is the role of a development coach? The role of development coach is really important at a footy club. In this role, I'm going to work with the younger players to develop their footy ability in a variety of areas. This might be skill level, game sense or leadership skills. With so many talented young players, it is exciting to be in this role at Fitzroy. What did Luke ask you to focus on for Fitzroy when you came across? Mahns has got me working with the D Squad on improving their footy. They work really hard with Hurls on their fitness, with an extra session each week and I am going to complement that by helping the boys develop their footy. All the players have outlined their strengths and areas for improvement. As a group at training on selected nights throughout the year we are going to work on those areas of improvement while continuing to build on the players' strengths. To aid their individual and group development, I will also be giving the boys feedback after game day. On match days I will be taking control of the back line. This is an area in which I have had a lot of playing and coaching experience. I am really excited to be working with such a talented defensive group this year! What insights can you give us about some of the young players coming through? We definitely have a strong pool of young talented players on the playing list this year. I am looking forward seeing these guys take the field for our opening few games of the season. They have all put in a strong preseason and I am sure they will hit the ground running when the real stuff starts. What does it say or represent when a player like Nino, comes up through a club and progresses quickly to a higher level of the game? I have only been lucky enough to see Nino play a quarter of our practice game against Therry, but from what I saw he is a special player. I think it speaks volumes of the opportunity that the club has provided Nino. This shows the club has confidence in and fosters their youth. Hopefully Nino will get plenty of opportunities in the VFL this year. How have you found your introduction to Fitzroy? I have felt welcomed by all of the players and coaching staff throughout the preseason. It has been a very enjoyable experience so far and I am raring to go for the season ahead. Fitzroy is a club with such a rich history, I have always looked at Fitzroy Football Club from a far with fondness. I am honoured to be given an opportunity to be part of such a proud club. Clearly you've had a lot of good experience at a couple of VAFA clubs... What are you hoping to achieve in this role or with Fitzroy more broadly? I have been involved with three VAFA clubs over the past 11 years; St Kevin’s, Kew and Brunswick. I have been part of a few successful teams as a player and coach over that time and I hope this year I can bring my experience to make a positive impact at Fitzroy. Even though I have only been around Fitzroy for a short period of time, it has been long enough to feel very much a part of the club. I think with everything that Mahns has but in place throughout the preseason, the boys have a great opportunity to achieve success this year! What can you tell us about Luke? Where to start... I first played with Mahns at St Kevin’s when I was 21. He was already a legend of the club then and was a terrific player and leader. He helped to make me feel very welcome at St Kevin’s and I learnt a lot from him as a player. 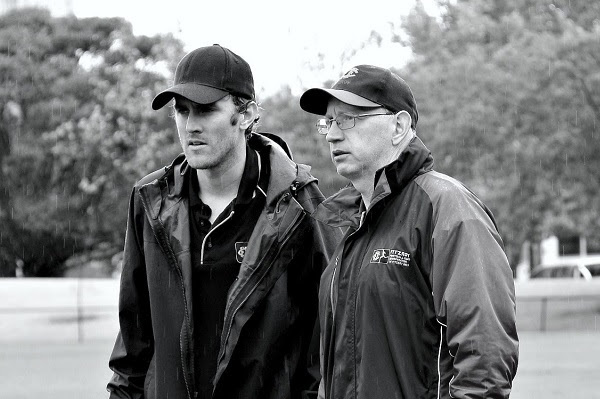 Working as an Assistant Coach with Mahns last year showed me he has a wealth of footy knowledge. Throughout the year I heard Mahns deliver some inspiring speeches which the boys who play seniors this year can look forward to. All the players can learn a lot from Mahns, Pickers and Bernie throughout the year. As part of an action-packed weekend at Brunswick Street next weekend, Brisbane Lions and Fitzroy champions of yesteryear will feature in an ALF 9s tournament on Sunday 8 April and you’re all invited. Brownlow medallist and triple premiership midfielder Simon Black has been named and others will be revealed soon. Thanks to those who attended our golf day and congratulations to the FitzroyIT team who won the Chevy Chase perpetual trophy. 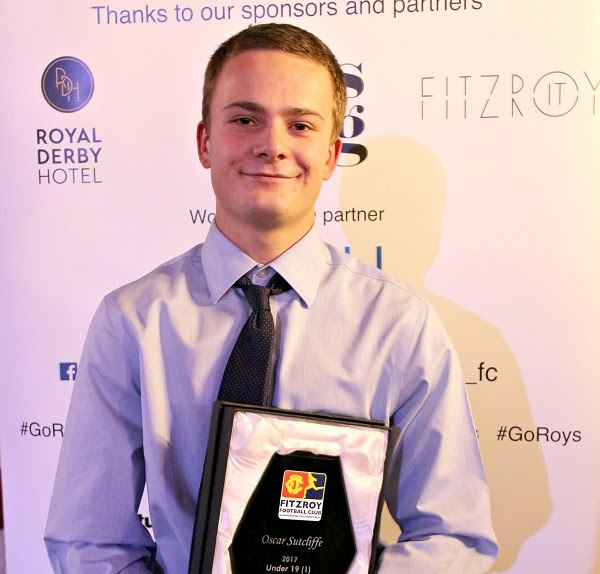 Another winner is Tom Roper, whose name was pulled from the hat at the season launch from the almost 300 members who had purchase or renewed their membership before the end of February. Tom won a dinner for two at the Royal Derby, a special bowls club membership and a Fitzroy scarf. Happy Easter Fitzroy fans! See you next Saturday.